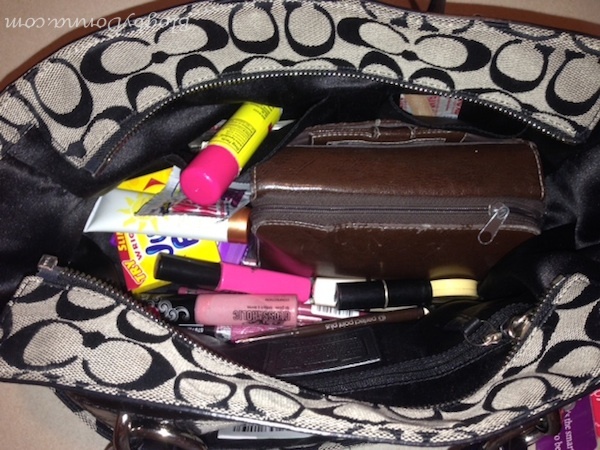 Did you know that there was a day devoted to cleaning out your purse? I didn’t either. I generally don’t clean out my purse unless I’m switching bags. And… that’s not very often. I have carried the same bag for years before, but over the last two years, I do change them out more often. 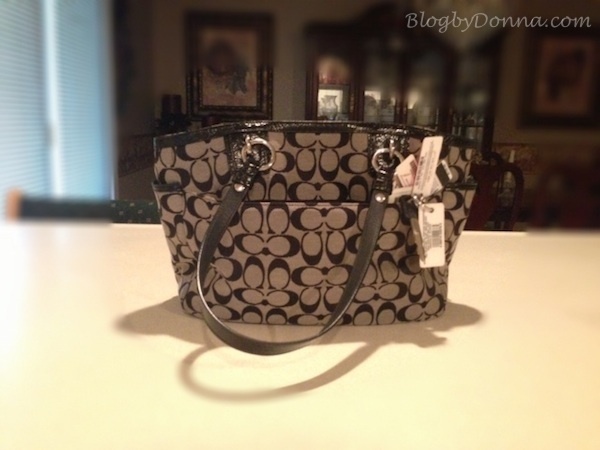 I received a Coach bag as a Christmas gift from my husband this past Christmas, as well as a small Coach shoulder bag I got a few weeks ago. I also got a couple of bags to review this year, too. So, I’ve started changing them out. Now my purses are cleaned out more often. Because I’ve bad to just throw receipts and spare change down to the bottom of my purses, they can get pretty junked up. Here is the purse I’m currently carrying…. I like black. It pretty neutral with everything I wear. I also have a brown bag I swap out with. And recently I got an orange (my favorite color) and yellow bag. I’m getting out of my comfort zone and spicing up my wardrobe with color this spring/summer. Okay, I’m bad to just throw everything into the bottom. Then I spend several minutes hunting through it looking for whatever it is I’m looking for. I’ve realized while cleaning out my purse for ‘National Clean Out Your Purse Day’ that I — need a new wallet. I love lip gloss, I’m prepared for a boo-boo, and I’m addicted to Juicy Fruit gum. Really. I am. What is in your purse? Do you ever clean it out? How long have you used the same purse? Simply Vera Vera Wang handbags express fabulous style. This shopper has it all, from the pleated accents to the textured woven design. In coral. Braided shoulder straps offer impeccable style. Wanna sport this purse this summer? Giveaway Starts May 15th at 10:00am EST. Ends May 29th at 11:59pm EST. Living Smart Girl, Overtired Mommy, Blog by Donna, Mommy Has to Work and The Bookworm Mama. Take a moment and visit all the wonderful blogs that have brought you this great giveaway. Enter to win on the Form below. Good Luck! 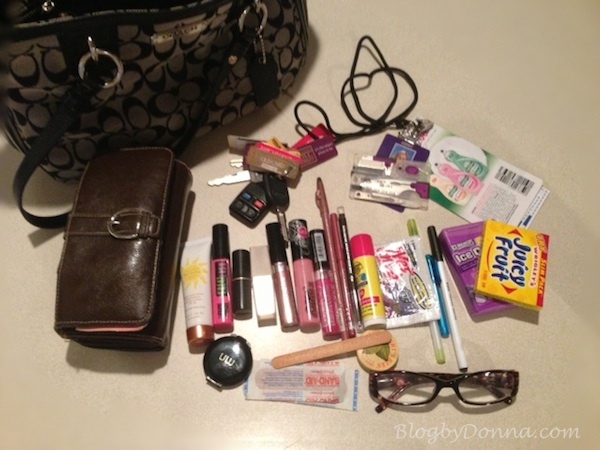 30 Days About Me Day 28: What's in your purse right now? I carry a very small purse now. I did it, I cleaned my purse out! I do not do Instagram, unfortunately…so, I could not get all the entries completed. I sure could use a new purse, but my husband has cancer and we cannot things like that right now. I meant to say “We cannot AFFORD things like a new purse for myself because of all his medical needs”. Really need to change purses get tired of the same one. I just cleaned out my purse!